OkCupid banned the white supremacist from the Vice video. Here's why that makes no sense. OkCupid Banned the White Supremacist From the Vice Video. Here’s Why That Makes No Sense. Christopher Cantwell can’t find love on OkCupid now. Other white supremacists can. “Is interracial marriage a bad idea? There’s a term for white people who answer “yes” to these questions: white supremacist. In these questionnaires, OkCupid has basically created a functional database of white supremacists it could have banned at any time. 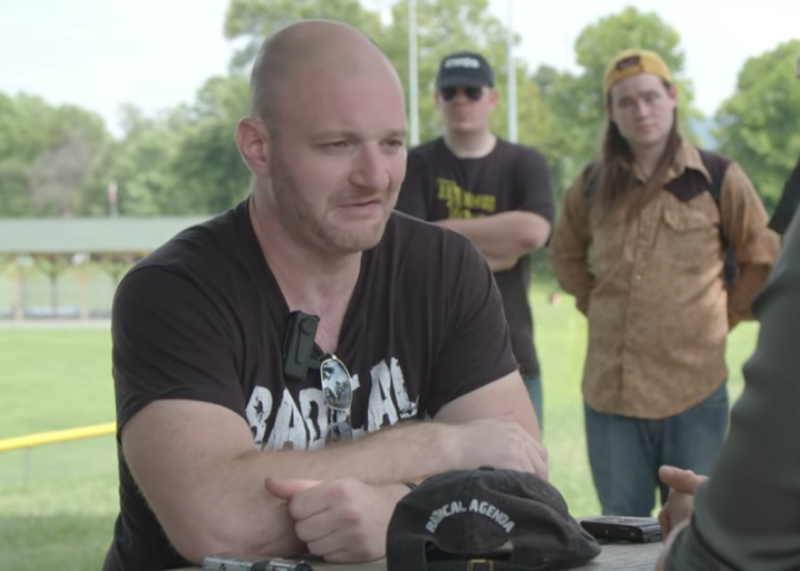 It has not only allowed white supremacists to use the platform, but it also gave them a way to find each other by matching potential lovers based on their answers. Users can make their answers private, so only OkCupid can see them to calculate their match percentages, or public, so all other users can see what they said. OkCupid has given people who are proud of their opposition to interracial marriage and their desire to date someone with a “strong negative bias” toward people of color a friction-free way of finding like-minded (read: racist) mates. Users can also rate how important a prospective date’s answer to each question is to them, weighting how much each response counts toward their match percentage. Imagine the white person who answers “yes” to all the racial prejudice questions, then ranks them as “mandatory.” He can make it so he mostly or only sees people who want to date a racist. He’s just created his own personal white supremacist dating site. This isn’t to say that OkCupid should use its own questionnaire to bait white supremacists into revealing themselves, then kick them off the site. No white person who grows up and lives in a racist society, as all white people do, is free from racism; it would be impossible for OkCupid or any other digital service provider to faithfully weed out all racists from its ranks. Even if there were, the idea of a few tech CEOs wielding their power to kick jerks off the internet should cause concern. Some racists are undeniably worse than others—particularly those who advocate violence and affiliate with white nationalist groups—but no company, especially not one that makes it easy for users to self-identify as racists and find others, should be in the business of measuring degrees of racism to determine a user’s eligibility. What if someone reports a guy who posts Nazi propaganda on his Facebook page, but fills his OkCupid profile with banal tributes to Led Zeppelin and Breaking Bad? Is just sharing white supremacist memes on Twitter enough to get someone banned, or does one have to be a card-carrying member of Identity Evropa? More than a few users espouse racist views on OkCupid itself. Data released by OkCupid in 2016 showed that 18 percent of Mississippi users said in their questionnaires that they disapprove of interracial marriage, and those answers helped the site find those people other racists to love. In one sense, OkCupid’s questions about racial prejudice do a service to people of color: They allow white supremacists to identify themselves. Anyone who doesn’t want to see that kind of scum, provided the scum have answered “yes” to those questions, can filter them out by answering “no” to all three and marking them “mandatory.” According to OkCupid, so many users do this, they’ve made racism the No. 1 “dealbreaker” on the site.